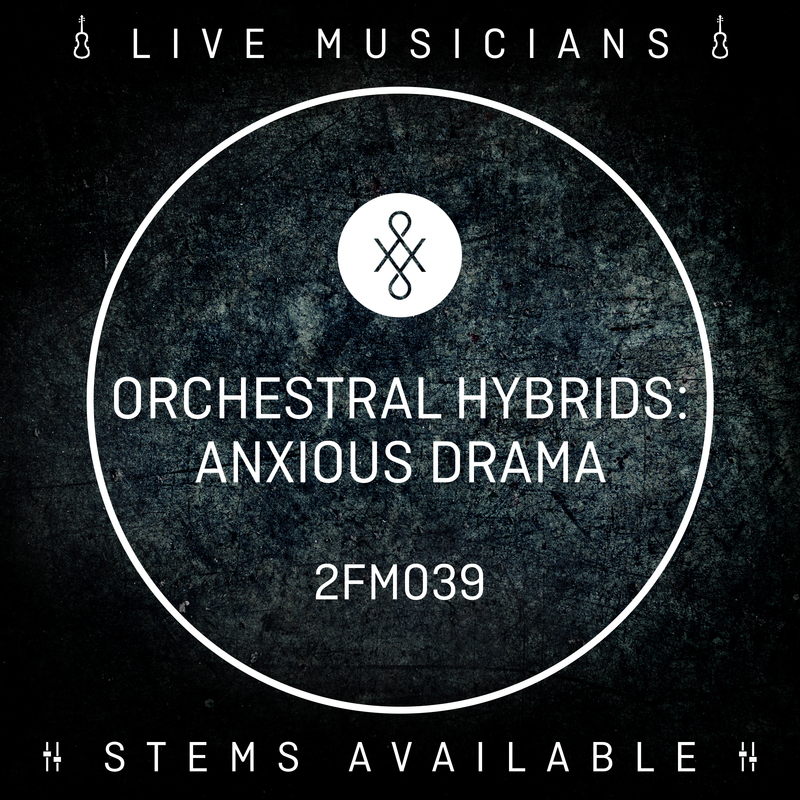 2FM039 Orchestral Hybrids: Anxious Drama is the latest in the hybrid orchestral series from 2nd Foundation Music, following on from 2FM030 Orchestral Hybrids: Tension, Reflection & Drama. Strings, piano and brass blend seamlessly with eerie synths and ticking, driving percussion to create a dark, anxious album, blurring the lines between the organic and the electronic with a distorted and processed orchestra. Anxious drama beds (“Nervous Undercurrents”) sit alongside powerful, motivational epics (“Agitated Momentum”), ominous building tracks (“Fateful Echo”), and emotional journeys to acceptance (“Bittersweet Resolution”). Live instrumental recordings bring glimmers of warm tenderness as well as edgy, mechanical grit. With its glitchy, industrial themes, this album will be perfect for urban dramas, investigative programming, dark reality TV, promos and advertising. Many tracks are available in synth-only and orchestral-only versions, as well as 60-second, 30-second and sting cutdowns. For further amendments to the tracks, stems are also available.